This crew gives back to the community through hands-on education that respects environmental, cultural and social initiatives thus in turn builds connections and resilience. 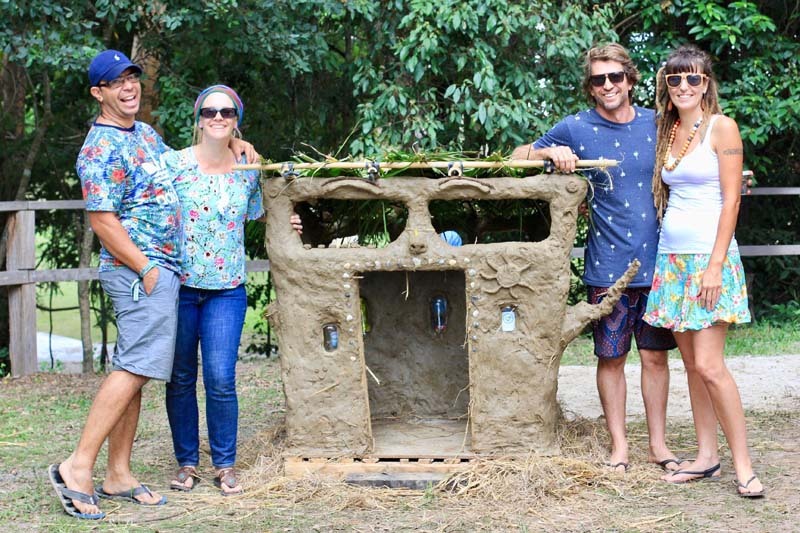 They regularly run events, workshops and education programmes that spreads their passion about reusing, recycling, earthship inspired housing, natural building and sustainability. A UHT container never looked so good, drink up the milk and voila, you have a new wallet. Build a wee little house from pallets, sticks, glass bottles and clay. Feel the mud through your toes and fingers and using a traditional technique, construct your shelter. I’ll huff and I’ll puff but I’ll never blow your house down.